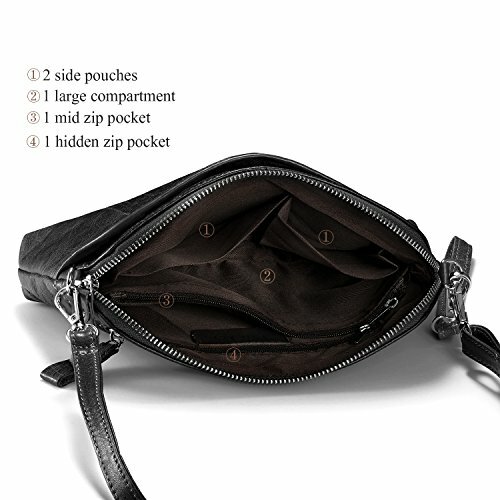 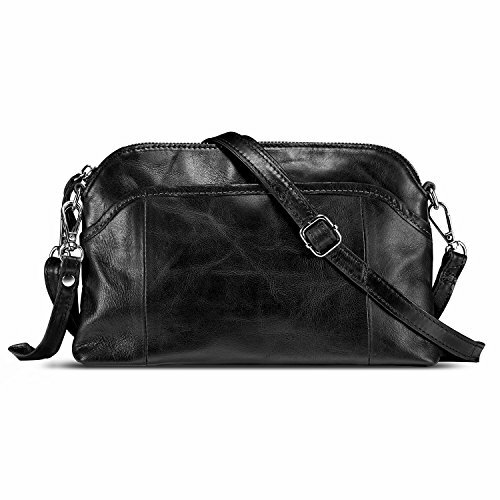 [Multi-purpose function]: Interior: 2 side pouches, 1 compartment, 1 mid zip pocket, 1 hidden zip pocket. 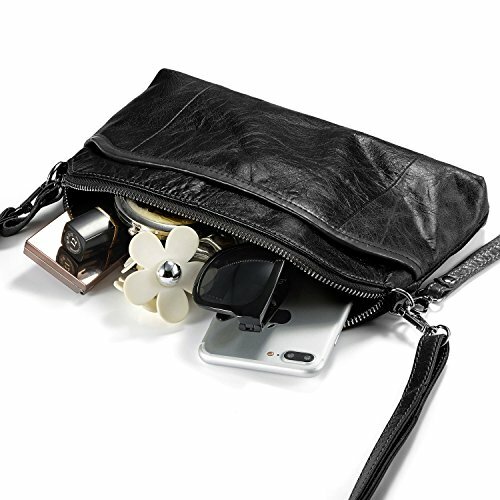 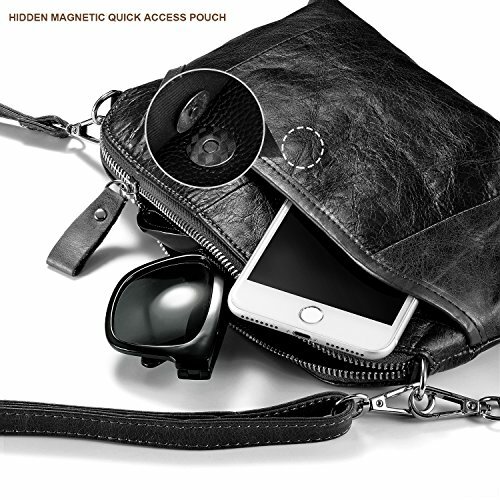 Exterior: 1 front pouch, 1 rear zip pocket - easily take smartphones, small makeups, charger, wallet case, bills, car keys, etc. 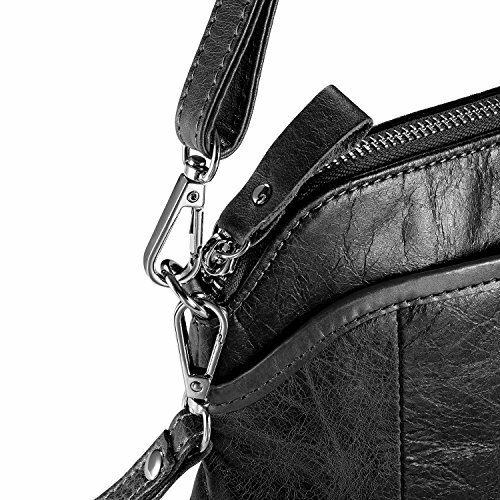 PACKAGE: 1 wrist strap, 1 crossbody strap, 1 leather bag. 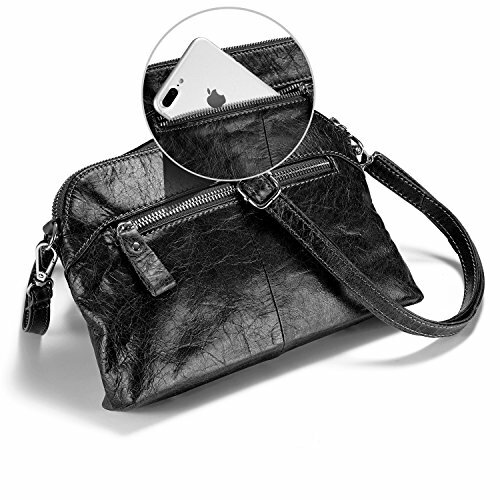 Dimensions: 9.84 x 6.3 x 1.5 inches(L / H / T), fit smartphones under 6 inch, iPad mini tablets without case.